One of the more controversial health conditions that has is becoming more widely known these days is adrenal fatigue. The term only dates back to 1998 and is credited to a naturopath and alternative medicine expert named James Wilson, PhD, who described the condition by symptoms caused when the body’s adrenal glands aren’t functioning optimally. The science behind adrenal fatigue is a bit sketchy, and the associated symptoms can often be attributed to many other conditions and environmental factors. However, it’s worth taking a closer look at adrenal fatigue and what might cause a malfunction in the adrenal glands. People who are diagnosed with adrenal fatigue often feel tired and have trouble falling asleep and waking up in the morning. They may also crave salty and sugary foods, feel light-headed, and notice unexplained weight loss. These symptoms could be simply caused by poor nutrition, not managing stress properly, or drinking too much caffeine on a daily basis. But the idea behind adrenal fatigue is that the adrenal glands, which are located on top of the kidneys, are affected by mental and emotional health. 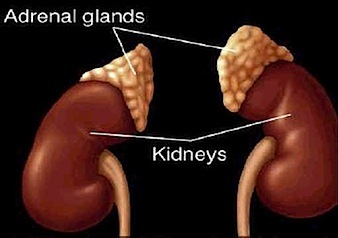 The purpose of the adrenal glands is to produce cortisol, aldosterone, adrenaline, and norepinephrine. They play an important role in hormone function and are connected to metabolism, sexual development, stress control, and the salt-water balance in the body. Without proper adrenal gland functioning, overall fatigue, pain, and cravings may occur. Possible causes of adrenal fatigue include food sensitivities, rheumatoid arthritis, prolonged stress, poor diet, lack of sleep, and traumatic experiences. Some research shows that high cortisol levels that are connected to poor adrenal gland functioning can result in reduce immune system functioning. New parents, busy college students, and overworked caregivers are cited as being most prone to adrenal fatigue. While there is very little scientific evidence to prove that adrenal fatigue actually exists and is a legitimate medical condition, adrenal fatigue is still a common diagnosis that many people receive from health professionals. The Endocrine Society has issued statements about adrenal fatigue not being an actual medical condition, yet many people are desperate to put a label on their symptoms and explain why they feel the way they do. Regardless, there are certain lifestyle changes and healthy habits that can support adrenal health and that may make these types of symptoms better without prescription drugs. To start, alternative medicine practitioners will usually recommend cutting alcohol, tobacco, and caffeine out of your diet. Artificial sweeteners, carb-heavy foods, processed foods, and hydrogenated oils should also be avoided on an adrenal fatigue diet. Good options to replace those foods include olive oil, raw honey, walnuts, seaweed, and coconut. 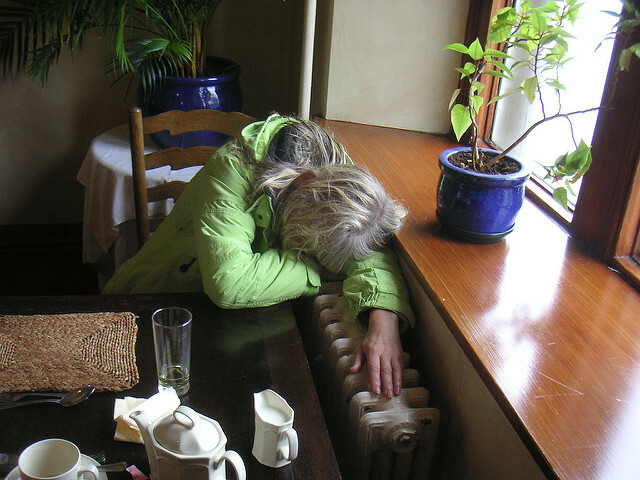 Some herbs that are commonly recommended for adrenal fatigue are rhodiola rosea and ashwagandha. As far as lifestyle changes go, aim to sleep eight to 10 hours per night, minimize stress as much as possible, exercise in moderation, and reduce negative thinking if you believe you suffer from adrenal fatigue. Since the symptoms associated with adrenal fatigue are quite broad and general, it may be time to see a physician for persistent symptoms in order to rule out the possibility of another type of disorder that is causing them instead.